Video note: The first video shows The Who at The Concert For New York held in the aftermath of 9/11. An incredibly powerful performance. "Won't Get Fooled Again" winds up and blows out one of the hottest album sides to ever have been issued on vinyl. Who's Next became an instant classic. It was the spring of 1971 and The Who's last studio album, Tommy, had come out a full two years previously. They had released the epic Live At Leeds in 1970, but their audience hungered for new material. Fans were not disappointed. "Getting In Tune," "Going Mobile," "Behind Blue Eyes" kicked it off, and "Won't Get Fooled Again" wrapped up the second side of Who's Next. Two other monster songs anchored the side one: "Baba O'Reilly" and "The Song Is Over." The anarchic free-for-all feel of "Won't Get Fooled Again," however, sets it apart from the general rebellious tone of the whole album. Its lyrics are a sophisticated shading of a more populist sense that had pervaded not just youth culture at the time, but the general population of the Western World. Society had grown angry and betrayed by its leaders and was wary of any who promised anything at all, left, right or center. From its opening crash of guitars and synthesizer, "Fooled" promises a complete exploration of the phenomenon. There is a brief, mood-setting synthesizer solo, which then explodes into the body of the song with drums, bass and a soul-scalding lead guitar from songwriter Pete Townshend. The opening lyrics serve notice that this is not political discussion as usual. Those children are all grown up now. The (old) men who "spurred us on" are mostly dead. Even the '60s generation is well along in the aging department. This is one of the Boomers' last Everest-sized anthems, one with pith, one with punch, one with depth. It is perhaps the mention of the "children at our feet" that lifts the sentiment so high. It is also the behaviors of the new politicians who keep spurring us on, or back, or down - now with a larger handful of women than in 1971 - that keep the song relevant. "Fooled" is a reminder, a celebration, an admonishment to strive toward something better politically. As the song progresses musically, it grows more heated by the second. Literally. Keith Moon has surely been drinking nitroglycerine. 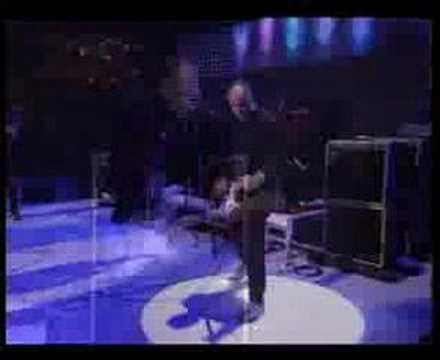 Bassist John Entwistle plays as lively a line on the instrument as you have ever heard. He makes Paul McCartney sound like an amateur bass player, which, of course, he is definitely not. Townshend ascends, descends, jumps from riff to riff, bends notes, breaks notes, and generally sets his guitar ablaze, though not, as in days of old, literally. By the second verse, "Won't Get Fooled Again" comes out of the closet and lands squarely in the middle of the room as a howl against mindless and repeated wars. Although Vietnam was winding down, the bitter taste remained in the collective mouth of the world. The chorus is repeated and a more personal verse takes over and we are treated to the old Who cynicism. Eventually "Fooled" breaks into one of the finest Hard Rock breaks in the genre's long, intricate history. It is a runaway train that morphs into a contemplative synthesizer solo that calls upon the opening bars of the song for its musical theme. Moon drop kicks the break out of its quietude with a thudding, throbbing drum solo tracked on top of the synthesizer bit. After a hellishly insane scream - among the best in history - Roger Daltrey brings it all back home to the lyric, the first lines of which have wormed their way so far into popular consciousness that young people no longer know it's origin. It is now an "old adage." And on that, the song ends after a short coda. Stylistically, there are recollections of Tommy, and even earlier work like "I Can See For Miles" and "My Generation." 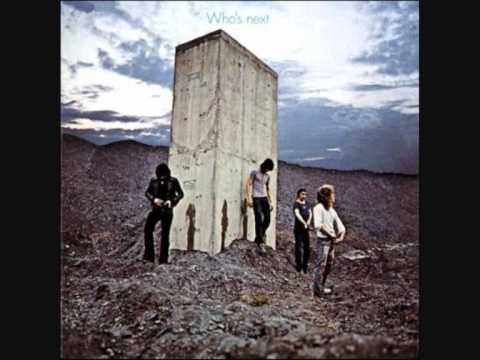 In all, Who's Next, though, is a departure for The Who. It is the opening of their farewell to being one of the medium's greatest creative forces. Other great and good songs would follow, but "Won't Get Fooled Again" stands on the altar of Rock like a great spark-throwing, shining monstrance. It glows in the twilight, looking backward and forward in its decades-old glory. Pinball Wizard He's got crazy flipper fingers. Lord help his glove maker. The blend of Eastern Zen and Western machine culture is brilliant. SubstituteThe Who blasts off into a short, manic, wrathful break. The anger and vitriol seem to gush from the pores of their skin. He's got crazy flipper fingers. Lord help his glove maker. The blend of Eastern Zen and Western machine culture is brilliant. "Summertime Blues" ascends miles above Rockabilly without losing sight of its roots in that twangy, slangy music.